neighboring village. 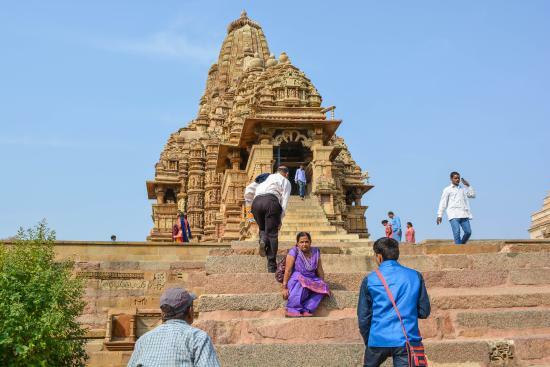 The Eastern Group of Temples at Khajuraho includes Parsvanath Temple, Adinath Temple, Ghantai Temple, Hanuman temple, and Brhama Temple. Parsvanath Temple, dedicated to Jain Tirthankara Parshvanatha, is the largest of the Jain temples. 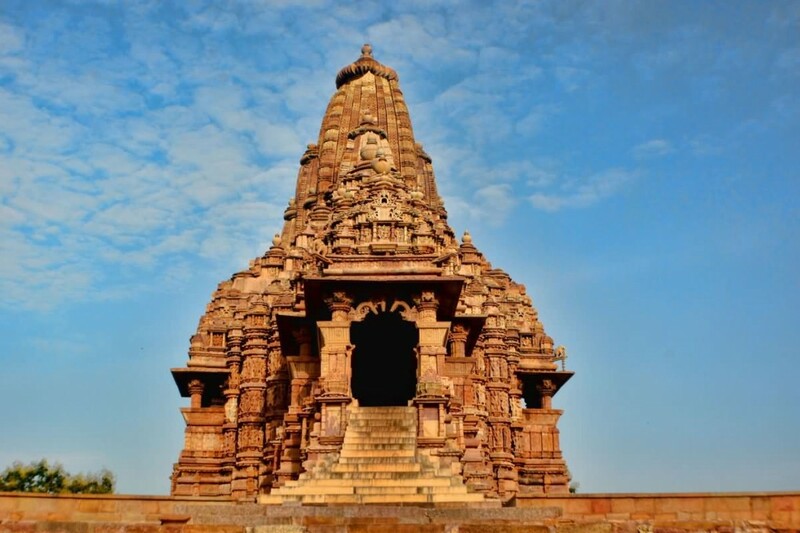 Parsvanath Temple is also famous for its beautiful sculptures depicting celestial beauties in several postures. Adinath Temple is dedicated to the Jain Tirthankara Adinath. What is truly remarkable of this Jain Temple is its lavish embellishment with sculpted figures, including that of Yakshis. Ghantai Temple is a Jain Temple, famous for its ornamental depiction of 16 dreams of Mahavira’s mother and a Jain goddess on a winged Garuda. The three Hindu temples of the Eastern group are the Brahma temple, the Vamana temple, and the Javari temple. The Brahma Temple is known for its four-faced image of Brahma housed in the sanctum of the temple. 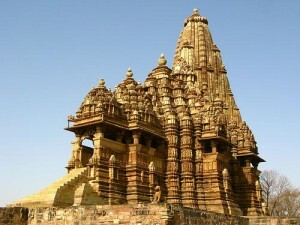 The temple is made up of granite stone and its shikhar is that of sandstone. The Vamana Temple is adorned on its outer walls with carvings of apsaras (celestial beauties) in a variety of sensuous moods. The Javari Temple is worth visiting for its richly carved gateway and exterior sculptors. 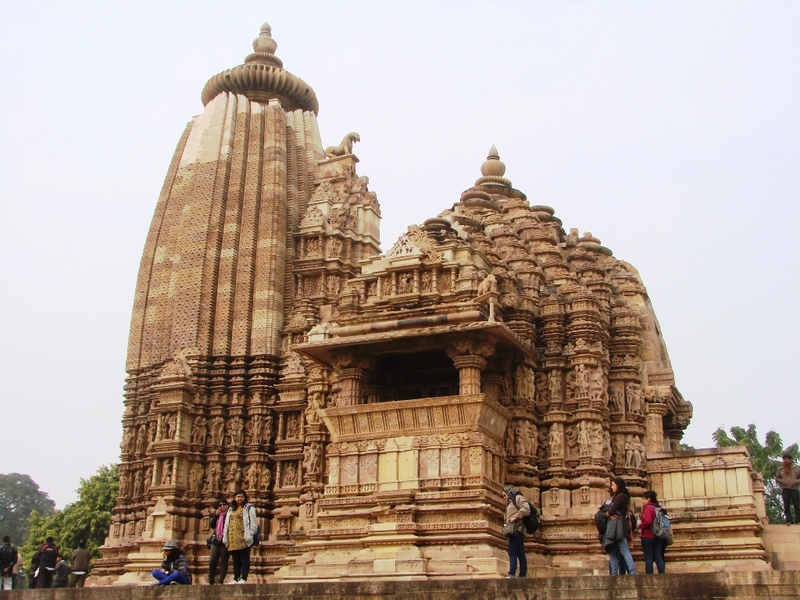 Hanuman Temple is another remarkable specimen of Khajuraho temple architecture. It is famous for the colossal statue of Hanuman, about 8 ft high, placed in the temple.